Looking back over the past year, we are moved by the boundless energy, commitment and generosity that resulted in so many successful outcomes. Each of the following highlights—points of pride and the outcome of rewarding partnerships—fill us with gratitude and encouragement. 1. Thank you to the federal government! They renewed their ongoing support for the Trail with a further commitment of $30 million, facilitated through our successful partnership with Parks Canada. Photo: Catherine McKenna, Minister of Environment and Climate Change at the National Connection Celebration in Ottawa. 2. It was an action-packed summer. 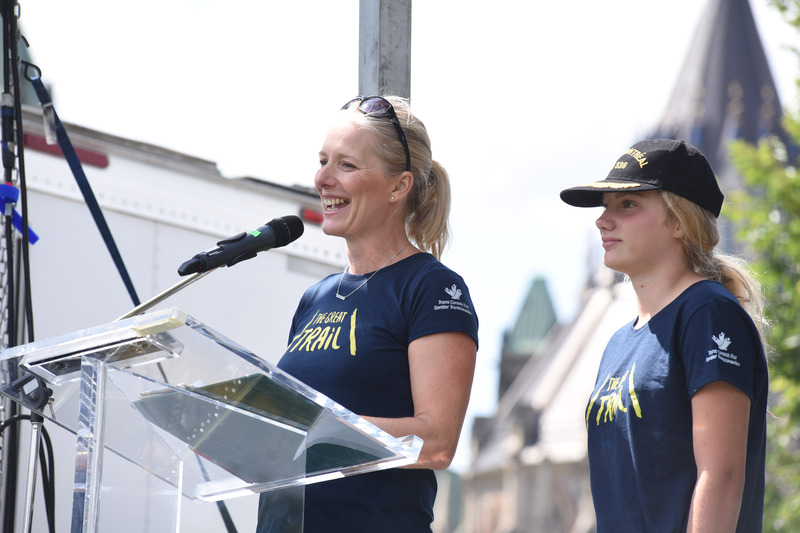 On August 26, we celebrated the cross-Canada connection of The Great Trail with an unforgettable event at Major’s Hill Park in Ottawa. On the same day, over 200 events across Canada celebrated this tremendous achievement. The TCT celebratory pavilion – designed to thank donors who supported our Leadership campaign – was also unveiled in Ottawa. The CAN 150 Fund generously supported this national day of connection. 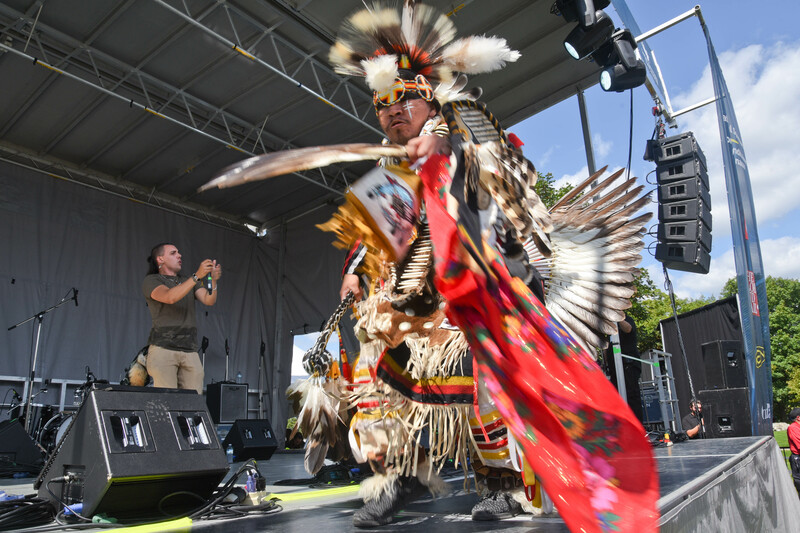 Photo: A memorable performance by Canadian artist Cody Coyote. 3. A treasured keepsake was born! The Royal Canadian Mint launched a rectangular silver coin to celebrate the 25th anniversary of The Great Trail in August 2017. The design of the coin inspired the design for the new Point Zero Markers. They will be installed in Victoria, Tuktoyaktuk, Windsor and Cape Spear in 2018. Photo: Photo, from left: Dakota Whitecap First Nation Councillor Dwayne Eagle, Saskatchewan Deputy Premier Don Morgan, Deborah Apps, TCT President & CEO, and Carmen Joynt, Chair of the Royal Canadian Mint Board of Directors. Photo: The Royal Canadian Mint. 4. 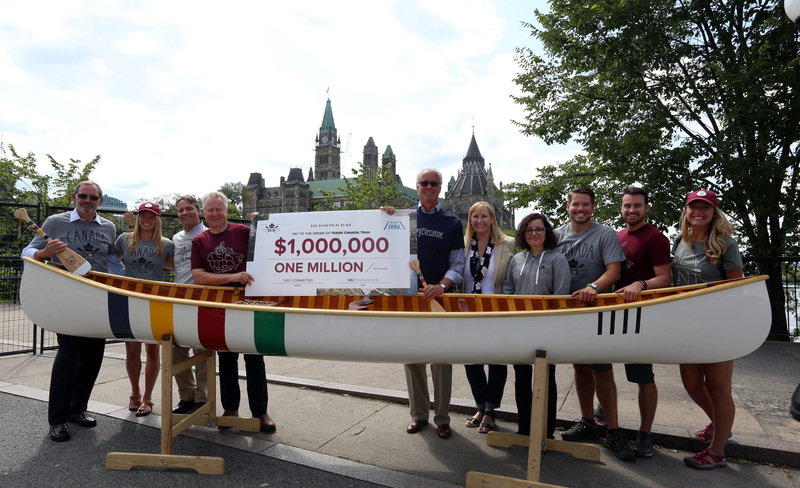 Hudson’s Bay (HBC) made an impressive impact with its Grand Portage fundraising program. The multi-faceted program, which raised $1 million for TCT, included a collection of commemorative fundraising merchandise (mugs, t-shirts, paddles, hoodies and more) as well as a journey that saw a team of adventurers complete a three-month portage across the country. Photo: HBC completes a three-month journey at the Connection Celebration in Ottawa. 5. 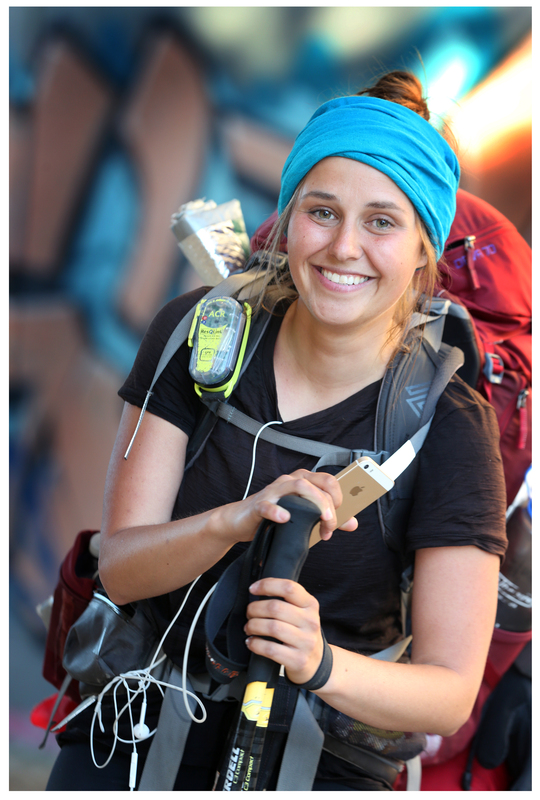 Outdoor enthusiast Sarah Jackson met a major milestone when she completed her east-west hike of The Great Trail in 2017. Sarah started her journey in Victoria in 2015, and triumphantly arrived at Cape Spear, Newfoundland and Labrador two years later. Well done, Sarah! Two other inspirational women, Dianne Whelan and Mel Vogel, are also continuing their cross-Canada hikes, and we are awed by their amazing journeys. 6. Thanks to a fruitful collaboration with Destination Canada, 14 travel writers and influencers from the US, the UK, France, Germany, China and Australia experienced sections of the Trail. We are still seeing the benefit of their positive coverage in numerous international media. 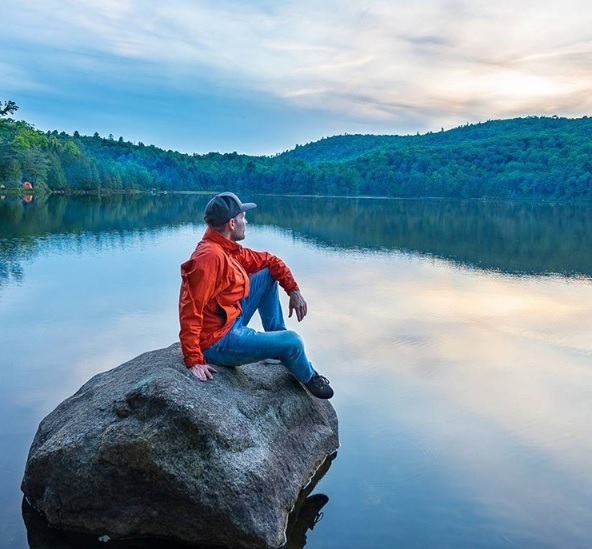 Photo: German travel blogger Steve Hänisch enjoys a sunset in Gatineau Park © @backpackersteve. 7. Five spectacular photos taken on The Great Trail graced the pages of a special insert in The Globe and Mail in November 2017. 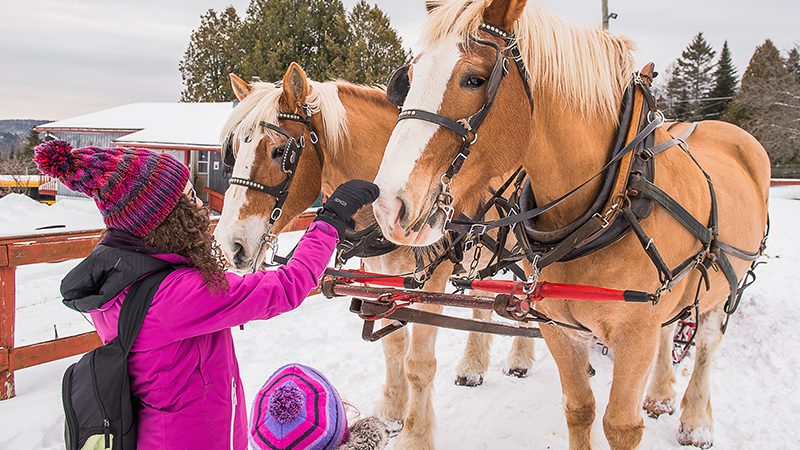 The photos won a contest created in partnership with The Weather Network and TCT. 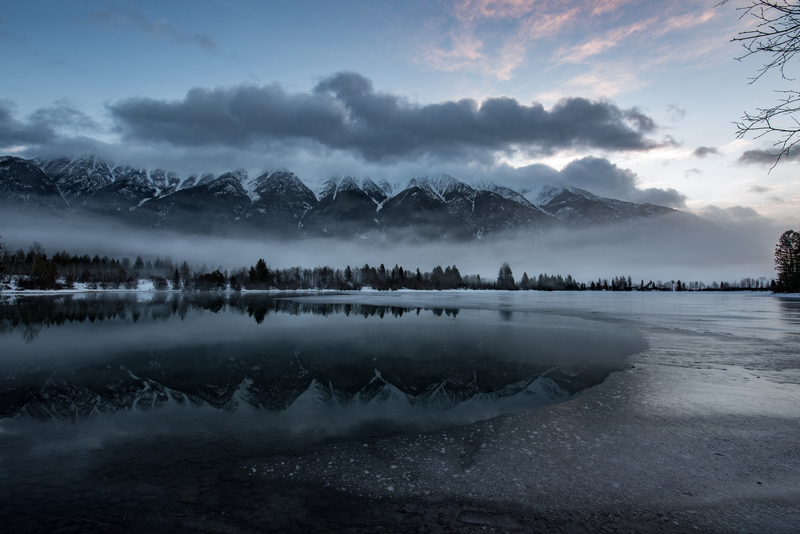 Photo: The Steeples, Cranbrook, BC © Drew Leiterman. 8. The Royal Canadian Geographical Society (RCGS) printed a tribute issue to cherish. 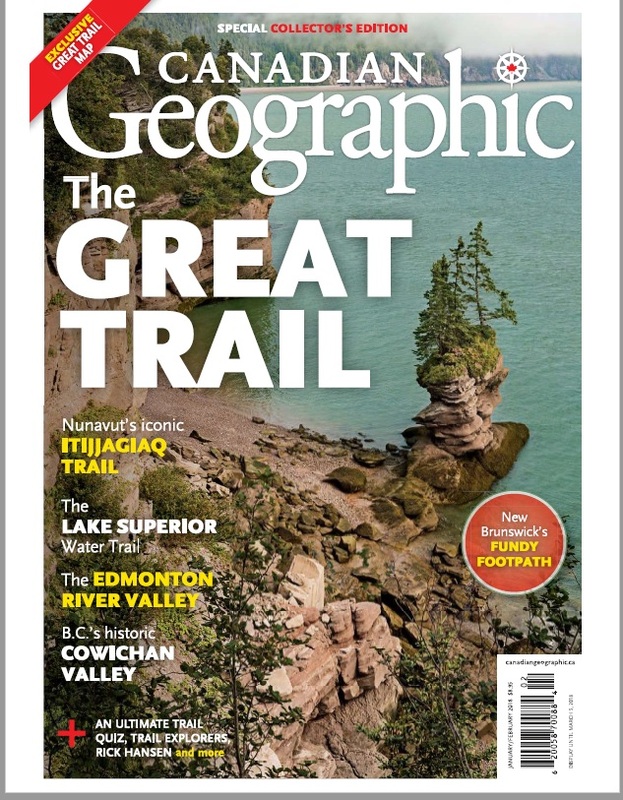 In January 2018, they published a collector’s edition of Canadian Geographic featuring The Great Trail. Born from a partnership between TCT and RCGS, the magazine showcased a variety of Trail sections throughout the country, including New Brunswick’s Fundy Footpath, the Cowichan Valley in B.C., and the Edmonton River Valley, among others. 9. With great pride, TCT launched Journeys, a new section of the website that offers inspiration and travel ideas for Canadians and visitors. Journeys, which suggests one-day and multi-day itineraries, was developed in conjunction with our travel partners – Quench Trip Design, Great Canadian Trails, BC Ferries, Northumberland Ferries and Naturally Superior Adventures.